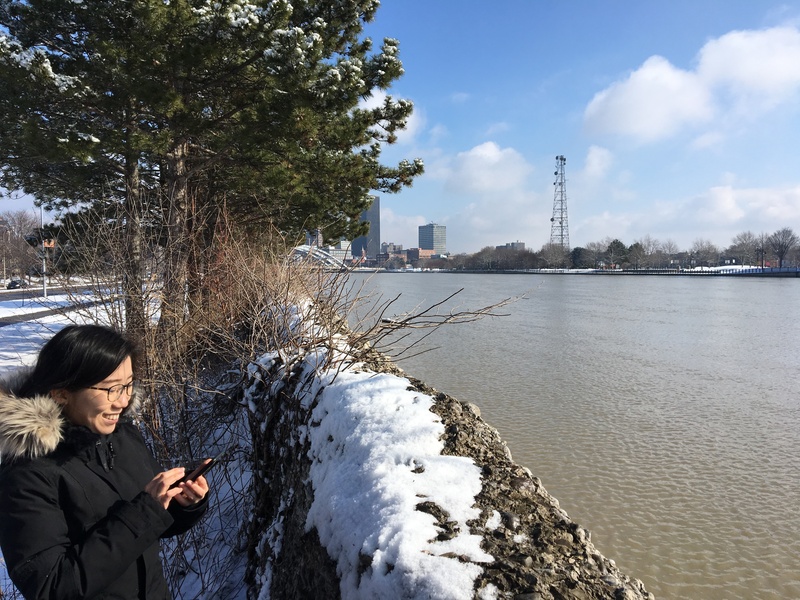 Working with Bergmann: Architects Engineers Planners in Rochester, NY we plan to take down this river wall and make a park with more integrated flood protection, allowing for increased visibility and access to the Genesee River. Right now the wall prevents seeing the water at all, and our design strategy will involve replacing the wall with an accessible berm. W is the Landscape Architect consultant to Bergmann proving insight on waterfront and resilience.